The Mummy Demastered Review: Buy, Wait, or Skip? Let me be the first to tell you that 2017 has been a strange year for me. 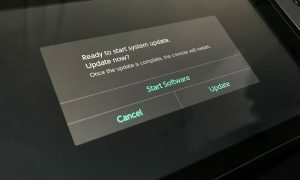 I was a bit hesitant about the release of the Switch after how poorly the Wii U performed, but I love how wrong I’ve been about the Switch and it’s appeal to gamers everywhere. It’s nice to see Nintendo back in form with the help of great indie developers. If you had told me at the beginning of 2017 that I would play a game based on the horrible Tom Cruise adaptation of The Mummy and enjoyed it so much I 100% it, I would have laughed in your face. Well, here I am to eat my humble pie. 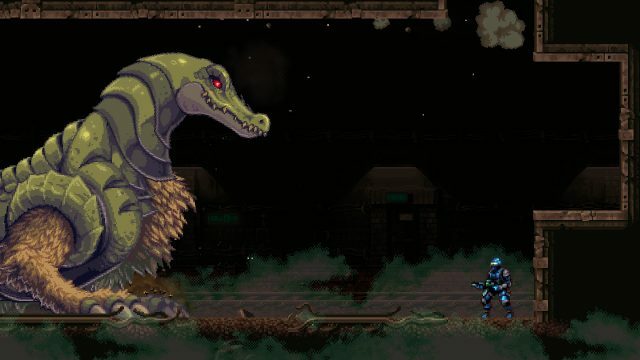 The Mummy Demastered is one of the best Metroidvanias available on Switch right now and the fact that it’s tied to that awful movie will only hurt what is a very good game. Remember Aliens: Infestation on Nintendo 3DS and how amazing that game was? This is another little gem worth checking out in that same vein. If you’ve played any Metroidvania since Super Metroid, you know exactly how this game controls. You’ve got eight directions you can shoot in and a lock button that lets you hold your ground, a roll button for getting through tight spots, and a variety of enemies that respawn every time you enter the area no matter how many times you’ve killed them. What’s interesting is that the folks at WayForward have incorporated a very Dark Souls-like mechanic into this game so that when your agent dies (which you will a lot), you respawn with none of the gear you’ve collected and you must kill the zombie agent that now has all your gear. That sounds tedious at first, but it’s actually a brilliant way to make the player take their time exploring the level to avoid wasting health and ammo. Enemies often drop ammo and health circles when they die, but there are plenty of destroyable items littered throughout the level to help you replenish your supply. You can also find bandoliers and health packs that will increase your health and ammo capacity, so you’re not always on the edge. The game also has various weapon crates you can find that allow you to switch out what you’re currently using. You have an assault rifle that has unlimited ammo so you’re never fully unprepared, but it’s the equivalent of a BB Gun compared to some of the upgrades you can find littered through the game. 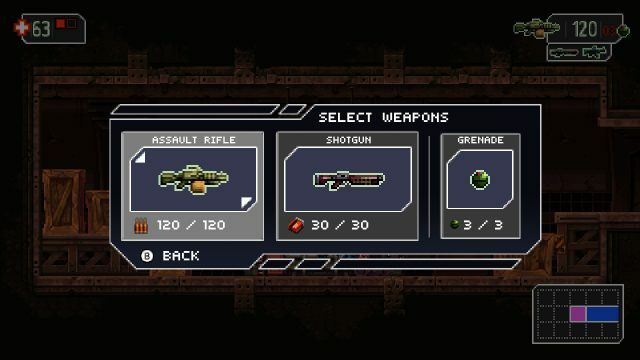 My favorite setup was the shotgun and flamethrower, but there’s enough weapon combinations so that you feel like you’re getting a progressively more powerful character as you journey in the world. In true Metroid fashion you’ll get various upgrades to your character, too. Early on you’ll find the ability to grapple across ceilings and a speed boost for jumping wide gaps. Later on, you’ll get a power-up that allows you to jump higher. Each of these power-ups serves to gate off areas that you haven’t been yet and is usually guarded by some sort of boss. The bosses that guard each level are pretty standard fights for these games, but I still found the design of the characters interesting. Obviously there’s a thin veneer of ancient Egyptian lore littered throughout the game as you fight a huge version of Sobek, the Egyptian crocodile god that devours the dead. There’s also 50 relics scattered throughout the game that you can find to add some extra challenge. There are seven distinct areas with unique music, enemies, and an interesting layout that I thoroughly enjoyed. The soundtrack for The Mummy Demastered is excellent if you like fast-paced horror-themed music. 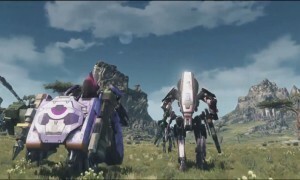 None of the tracks annoyed me to the point that I spent any of my play time with the music off and I’ve even found myself humming the refrain from Necrogenic Bloom while not playing the game. Overall, the music is well done and lends well to the game’s gorgeous pixelated atmosphere. YES. 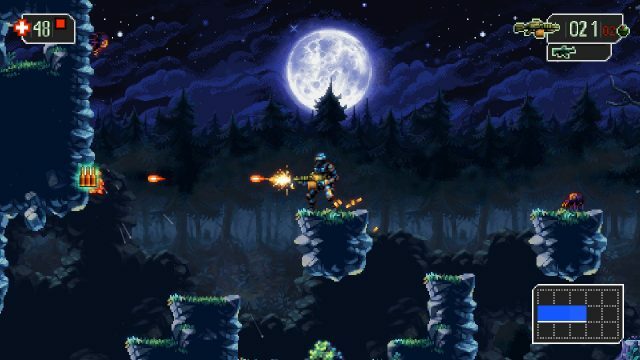 If you are a Metroidvania fan then you owe it to yourself to grab this game. It’s an old school homage to classic Metroid-style games and much more so than Steamworld Dig 2, which borrowed the layout of a Metroidvania but didn’t really satisfy for those who like the combat aspect of these games. At $19.99 this game is an immediate buy from me if you’re a Metroidvania fan. If you’re not but you’re still curious about the game, wait and pick it up on a sale to see if you’ll like it. It’s so old school that it may put off some people who aren’t familiar with how much back-tracking and exploration goes into 100% completing a game like this. I can’t recommend it enough and the folks at WayForward have something to be proud of in this. I only wish it wasn’t tied to such an abysmal movie release because that will definitely hurt the game.